I should try this with my sensitive skin and allergies. 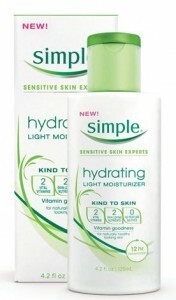 I have tried the Simple facial cleanser and love it! I will have to try this out too…I’ve been really impressed so far. This stuff sounds better than what im using now..Olay..I’ll have to try it out! I often use babywash but This sounds gentle so I would love to try it. I’ve said that least 2170029 times….